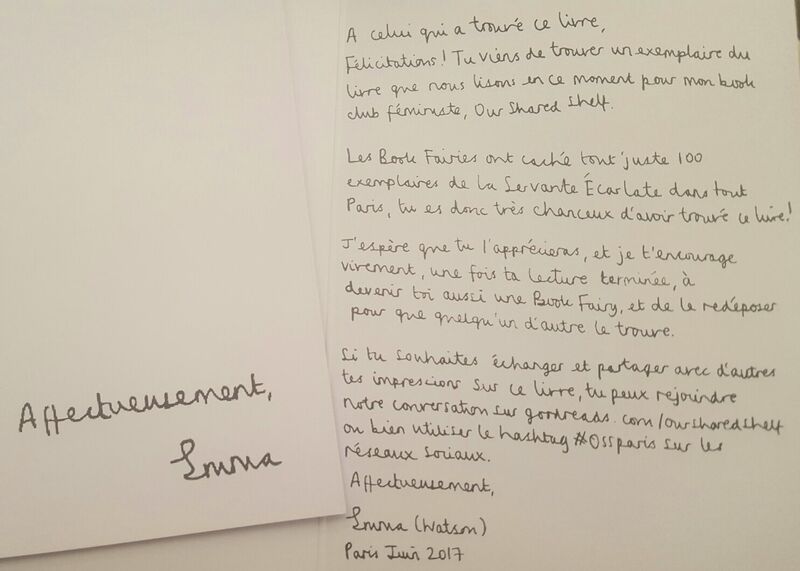 We are very excited to be able to tell you that Emma Watson is helping us to hide 100 copies of The Handmaid’s Tale by Margaret Atwood around Paris this week! We are people who love reading, and want to share books with others – and have fun at the same time! We find places where there are lots of people, and hide books there so that they have a lovely surprise! Most of the time we put stickers and ribbons on books we have read, to share them with others, but sometimes we are really lucky and a publisher will help us – like Robert Laffont with this week’s campaign! Set in the near future, The Handmaid’s Tale describes life in what was once the United States and is now called the Republic of Gilead, a monotheocracy that has reacted to social unrest and a sharply declining birthrate by reverting to, and going beyond, the repressive intolerance of the original Puritans. The regime takes the Book of Genesis absolutely at its word, with bizarre consequences for the women and men in its population. The story is told through the eyes of Offred, one of the unfortunate Handmaids under the new social order. In condensed but eloquent prose, by turns cool-eyed, tender, despairing, passionate, and wry, she reveals to us the dark corners behind the establishment’s calm facade, as certain tendencies now in existence are carried to their logical conclusions. The Handmaid’s Tale is funny, unexpected, horrifying, and altogether convincing. It is at once scathing satire, dire warning, and a tour de force. It is Margaret Atwood at her best. The story has been televised recently and is showing on Hulu in America and Channel 4 in the UK. Anyone can be a book fairy! Our stickers say “take this book, read it, then leave it for the next person to enjoy” and we have french stickers too! Head to our little goody page to get yours. Brilliant. I have just discovered i have been a book faerie for years. Leaving books noted take read snnd release all over the states. 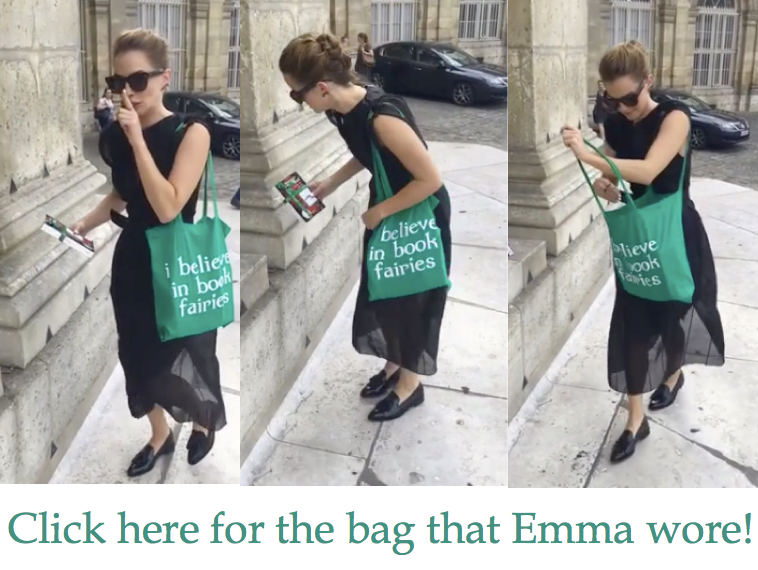 So proud to have Emma doing the same. I adore a good book, a new sharpened pencil and s bookmark. Never leave homr without a book. Thank you Emma for always being an inspiration.